Well, on our first visit to Nicaragua, we met El Nido de las Artes, a group of talented young performers who had just been introduced to the delights of circus and juggling in particular. 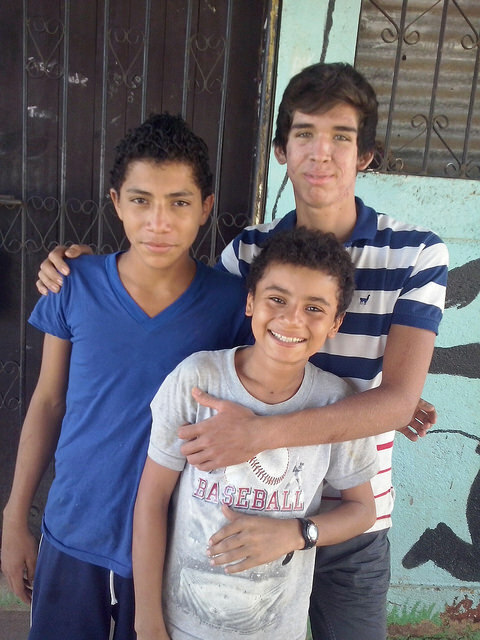 In 2014 we returned for our 2nd tour and found not only that they had developed their skills impressively quickly to a high standard but that they were also running their own small social circus project in their home town of Estelí. We invited them to teach and perform with the PWB team at both of our project locations, with great success – the children of course loved having locals to teach them, and they brought a wide variety of skills with them – clowning, acrobatics and juggling are their specialities. 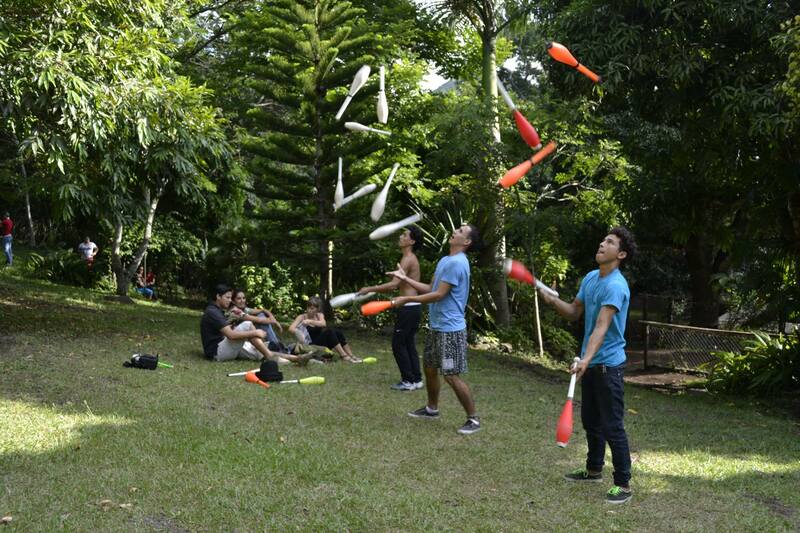 A total of 18 children attended the workshop and 2 teachers from El Nido taught acrobatics and juggling. The children were very enthusiastic and were engaged in games and theatre exercises in both a morning and an afternoon session. They remembered some of the human pyramids that they had learnt with PWB and were very excited to learn new tricks. Cesar and Enrrique, the 2 teachers, were very good at keeping the children’s boundless energy with games and comedy improvisations. Ricardo said: “I’m new in Barrilete, I’m from this year, but I’ve been in the circus workshops and I like it really much, what I like the most is doing Acro”. You are currently browsing the Performers Without Borders blog archives for October, 2015.